The Macomb County Clerk / Register of Deeds today unveiled a new computer system making it easier for the public to get copies of vital records, such as birth and death certificates, marriage licenses, business registrations, concealed weapons permits, and military discharges. These records are now digitally imaged, making document retrieval much quicker. Digitally imaging vital records means the Macomb County Clerk’s staff can search and view actual documents on their computers. With the old system, customers sometimes had to wait while clerks retrieved their records from storage areas in the basement of the courthouse or even at the Central Receiving building next to the county jail. Now records that have been scanned into the system are instantly available. The new system also means there is an important digital backup in case the existing hard copies are destroyed. Duplicates of most of the documents are also stored in Lansing. But for some of the oldest records only one copy exists. Having a digital backup will be an additional safeguard of the county’s records. The clerk’s office has vital records dating back to 1837. Most were indexed on a Unisys main frame computer until recently. The Macomb County Board of Commissioners last spring approved the Macomb County Clerk’s request for the vital records system from Affiliated Computer Services, Inc. (“ACS.”) the Macomb County Clerk said the company will soon begin scanning the last 15 years of vital records to make those images available on the new system. When that is complete, clerk staff will scan earlier documents into the system on an on-going basis until all vital records in the clerk’s office have been scanned. The Macomb County Clerk has a reputation for modernizing clerk services. The Macomb County Clerk was the first clerk / register of deeds to use computer imaging when she did so for real estate records back in 1995. The county clerk’s office is known for speed. Several years ago, the Macomb County Clerk became the first county clerk in Michigan to offer overnight delivery of birth and death certificates and other vital documents. The cost of overnight delivery is paid by people requesting the service and not by county taxpayers. The Macomb County Clerk also offers evening hours, every Wednesday until 7pm.  “Our overnight document delivery service is especially helpful to military families who sometimes need documents on short notice,” said the Macomb County Clerk. “I will be announcing a major improvement to the way concealed weapons licenses are processed very soon.